Lochhauser Strasse 5, Puchheim, 82178, Germany. thirdDimensionDesign is a design company with experience in the fields of architecture, 3D design and yacht design. 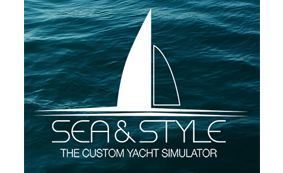 With SEA&STYLE, tDD realize high-end 3D real-time visualizations for shipyards; partly for new projects that are looking for a client, and partly for ongoing projects, in order to give clients the perfect opportunity to bring in their own ideas during the building phase. SEA&STYLE also offers gamification in the fields of crew training, eg for new crew members or in the defense of pirates. Visit us at www.seaandstyle.net and www.thirddd.net for further information.